It’s not easy to make homemade pizza. Certainly, this doesn’t mean that you have to be an Italian cook to make one. Skipping any key steps can result in unevenly cooked toppings and soggy crust. A survey was conducted by Zagat in 2013, which stated that Americans eat pizza at least once in a week. Indeed, that is a lot pies! 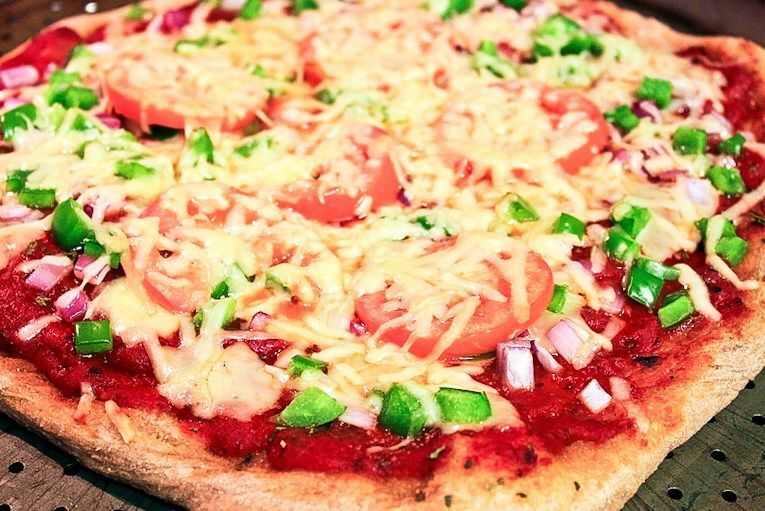 Everyone wants to know the recipe to cook a delicious pizza within short time period. Making pizza can be as difficult or as simple as you like it to be, completely depending on the method. Here are quick tips and tricks for making a better pizza at home. The problem always begin with incorrect measuring of flour. One of the worst yet common way to do this is by measuring flour with cup. These bread recipes call ingredients not by volume but by weight. Reason behind this is the compressing property of flour. Using scale can help you measure accurately irrespective of the compressing property. If you are really serious about pizza making then you need to know about the baker’s percentages. This is the standard notation for every professional baker. In the baker’s percentages, every single ingredient is presented by weight compared to the flour. One of the important benefit of this system is that it allows to scale your recipe up and down without recalculate fussy tablespoons or cups. You need to be very careful while choosing the right flour for you as it have a great effect on your end result. High protein bread will have a better hole structure. Make sure that you are clear about the pizza style before you begin with mixing your dough or putting it into the oven. Whether you are looking for a Neapolitan- style pizza with soft and crisp crust having fresh mozzarella or you want New York-style pizza that has a substantial crunch. Stand mixer offers you with a great help when you have to make a lot of pizza, though this is not the only way for kneading your dough. A food processor can compensate for stand mixer. Incase both the equipments are not available with you then there is a third way too. All you need to do is stir all the ingredients together, cover your bowl with plastic wrap and keep it out for overnight. The very next day, your dough will be ready for stretching and shaping. Keep your dough for cold fermenting for improving texture and flavour of the dough. Indeed, it’s hard to believe but keeping your dough for few days in the refrigerator will help you in getting a better dough for stretching and baking. It requires a lot of practice to stretch out dough into perfect circle. Well, the great news is that good pizza is possible without proper stretching. A rolling pin can be scoffed for stretching your dough especially when you have grilled pizza in your mind. Try to keep the topping part balanced and minimal. Remember pizza having eight different kind of vegetables will not taste better as compared to a pizza containing charred brussels, pancetta and sprouts. After completing all these steps your pizza is ready to get inside the oven. Keep it inside for at least for 12 to 15 minutes. Make sure that the bottom of the pizza is crisp and golden brown. Cut your pizza into slices and serve it quickly. Following above discussed quick tips and trick will help you in making a better pizza.